The University of Central Arkansas College of Health and Behavioral Sciences has received a donation of equipment from Conway Regional Health System to enhance student learning. The health system gifted a KayPENTAX Videostroboscopy System to UCA’s Communication Sciences and Disorders department within the college. Using a video camera attached to a tube that can enter the nose or mouth, the system allows for imaging and photos of the throat and vocal folds. Health care professionals such as speech language pathologists use videostroboscopy equipment to diagnose patients. The equipment is an older system that was no longer in use by Conway Regional Health System. Though it is no longer considered state of the art, it serves clinical training needs for UCA students. The videostroboscopy system will be used to conduct demonstrations in undergraduate classes. 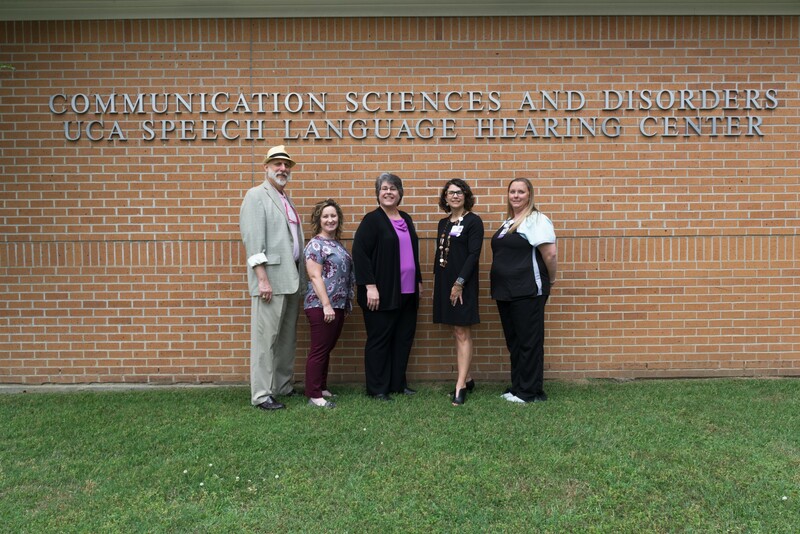 Graduate students will first be able to use the system in clinical simulations and then later use the equipment with patients in the UCA Speech Language Hearing Center.